Hey y’all. Today I’ve got something a little bit different for you – a new video class. 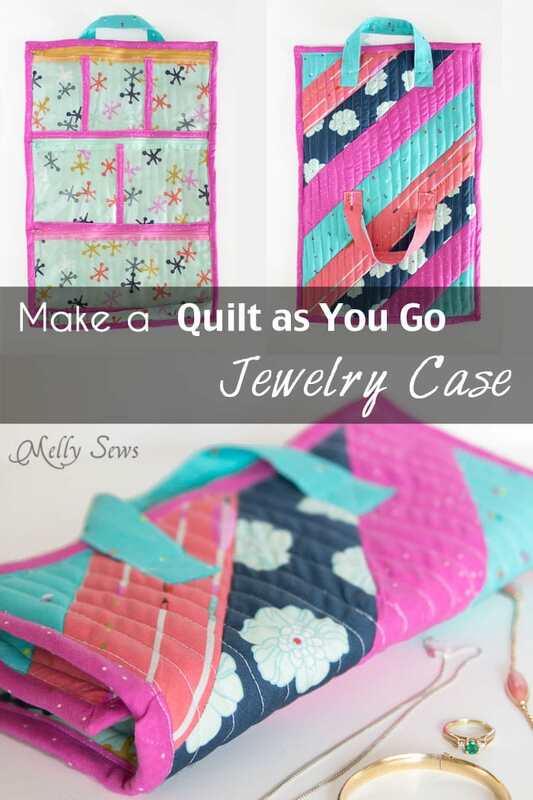 This quilt as you go jewelry case was originally sold as part of a $99 group of classes, but I’ve decided to offer it individually for $10. 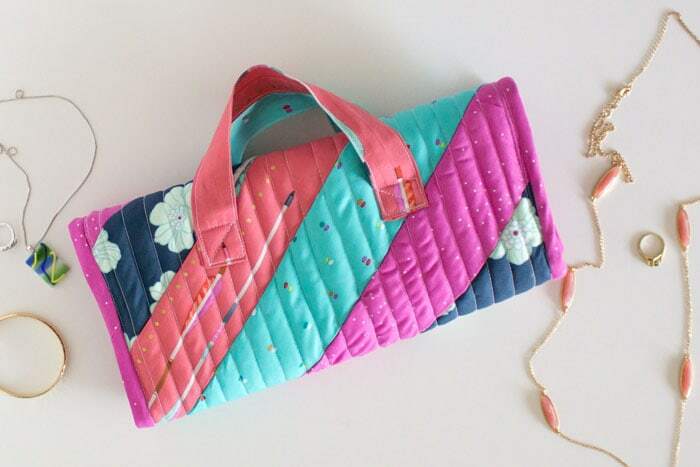 It’s a great project to decide if you like quilting, and if not, you’re not out a bunch of money for instructions and specialized equipment that you’ll never used again (in fact, I use all the equipment for this project in my garment sewing as well). To buy the class, you can use the button below or get it here. Or if you have more questions, keep reading. The video class includes a downloadable print file that has the materials, cut list and tool list, then 40+ minutes of video instruction to take you step by step through making the case. 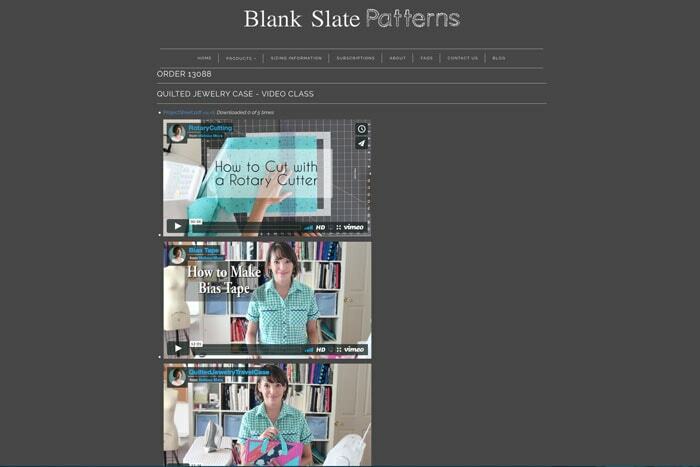 You can log back in and watch the video as many times as you want through your account in my shop. Your page will look like the image below, and you can click on any video to make it full screen size while you watch. If you’d like a taste of my teaching style, you can watch the video below. The commercial-free version of it is also included in the class, in case you want to make your own bias tape for the main project. To buy the class, you can use the button below or get it here.